He's coming to get you, Barbara. …if we don’t get the General Welfare clause under control. He will rise from the dead. And he will eat our brains. The individual mandate is a tax. Does it serve the general welfare? The constitutional test is whether Congress could reasonably conclude that its taxing and spending programs promote the general welfare of the country. This test is easily satisfied. Well, that was simple. General welfare means anything at all we want it to! What’s that, James Madison? But what color can the objection have, when a specification of the objects alluded to by these general terms immediately follows, and is not even separated by a longer pause than a semicolon? If the different parts of the same instrument ought to be so expounded, as to give meaning to every part which will bear it, shall one part of the same sentence be excluded altogether from a share in the meaning; and shall the more doubtful and indefinite terms be retained in their full extent, and the clear and precise expressions be denied any signification whatsoever? For what purpose could the enumeration of particular powers be inserted, if these and all others were meant to be included in the preceding general power? Nothing is more natural nor common than first to use a general phrase, and then to explain and qualify it by a recital of particulars. what would have been thought of that assembly, if, attaching themselves to these general expressions, and disregarding the specifications which ascertain and limit their import, they had exercised an unlimited power of providing for the common defense and general welfare? In other words, why in the name of all that is holy would we throw off such Government and provide new Guards for their future security AND THEN GIVE THEM THE SAME ABSOLUTE POWER THEY ESCAPED? Forgive the yelling, but COME ON. Which part of the general welfare clause, Jack M. Balkin, J.D., Ph.D., is easily satisfied by the individual mandate? Which part of the actual words of the constitution give you unlimited power to do whatever you want? Ultimately, Jack M. Balkin, J.D., Ph.D., you fail at reading comprehension. 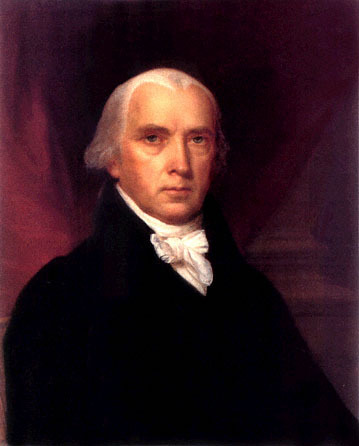 And I hope Zombie James Madison comes for you first.